Window Ware carries brands from the industry's most prestigious manufacturers such as Yale and Carlisle Brass. We source high quality products from leading brands such as Maco, Trojan and Hoppe. A full range of architectural ironmongery for the domestic sector from standard popular hinges to high end designer door furniture. Click here to search our site for products by Carlisle Brass. Click here to search our site for products by Eurospec. Creating ventilation excellence through silence, style and simplicity. Click here to search our site for products by Greenwood. With over 20 years knowledge and experience of the hardware industry, its not surprising that HOPPE (UK) commands such a dominant share of the door handle market. Click here to search our site for products by Hoppe. Kestrel is one of the world's largest manufacturer of roofline, cladding, U-PVC, PVC-UE ans PVC-U building products. Click here to search our site for products by Kestrel. The Kore brand from Window Ware, offers customers a high quality range of every day products to complement the wide selection of partner brand ranges. Many of these are sourced through our integrated sourcing team, and as with all Window Ware products, our continued focus is to deliver on time, all the time. Click here to search our site for products by Kore. Maco products undergo stringent industry recognised testing procedures for security and corrosion resistance. Click here to search our site for products by Maco. Mila provides the fenestration market with innovative own-branded products which are expertly designed and developed in-house, as well as a comprehensive range of support services, including sales and marketing advice, technical support and a UKAS-accredited in-house test centre. Click here to search our site for products by Mila. One of Europe's leading suppliers of domestic air management systems. 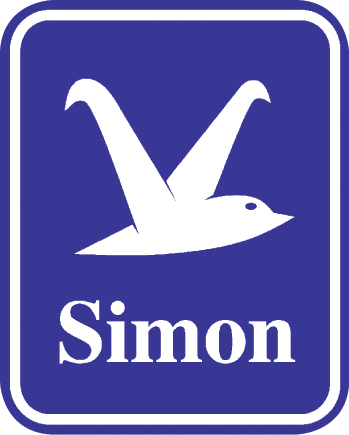 Click here to search our site for products by R. W. Simon. Award winning specialist screws and fasteners. Click here to search our site for products by Rapierstar. Sashmate is a revolutionary and market leading ‘clamp and brace tool’ which has been specifically designed for repairman, by repairmen. Click here to search our site for products by Sashmate. Innovation in Window and Door Hardware. Click here to search our site for products by Securistyle. Europe’s leading independent manufacturer of sealants, PU-Foams and adhesives. Click here to search our site for products by Soudal. Manual and electric window openers. Click here to search our site for products by Teleflex. Delivering excellence in hardware design and manufacturing. Click here to search our site for products by Trojan. Xpert range consists of high quality air tools, hand tools, and glazing tools under the highly regarded Xpert brand name. The quality products and competitive price points make this range a popular choice. Click here to search our site for products by Xpert. Yale is a world leader in residential security. Click here to search our site for products by Yale.